The time is just flying by, I can't believe it is almost the end of January. I have been unpacking a few more boxes and have found the kit makings so will start trying to get more kits packed but in the meantime I have some listed in our new Etsy shop. We now have an Etsy shop exclusively for the bears and kits but you can still see all the kits that we have available on our website. 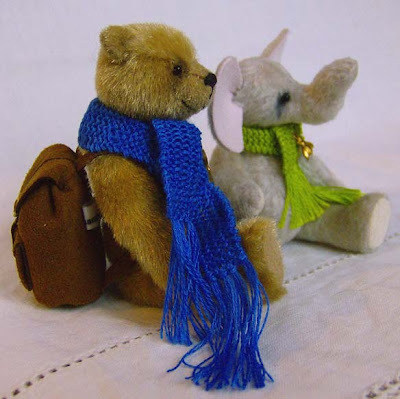 Connor and Riley Elephant are on eBay at the moment if you have a moment to look. Now it is back to stitching and knitting and hopefully I will soon have some new bear photos to share with you.